With Elizabeth Walker, who is on my left. First off, would you like to tell a bit about yourself and your writing. I’d be happy to, Elizabeth! So, I have a confession. Besides being a late bloomer as a writer (I started in my mid-thirties), I didn’t seek out writing for young adults as I primarily do now. Nope. 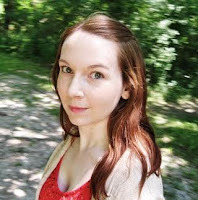 I lurked in the deep pool of the supernatural romance genre before I ever considered dipping my toes into the welcoming waters of young adult fiction. The idea to write for the younger crowd actually came to me through a dream I had around 1998. In this dream, I saw seven arches, and there were seven people (five kids, two adults) with crystals in their hands, walking up to these arches. It definitely had an “Indiana Jones” feel to it. I really thought about that dream a lot to the point where an idea for a book began to grow, and take root. So, I thought I’d challenge myself and write a novel—a series—that would appeal to my son, who at the time was the target age of my audience. I’ve always loved the time travel genre, so I imagined the arches I saw vividly in my dream as time portals. Then, boom. The Last Timekeepers and the Arch of Atlantis was born. To say it’s been a long haul is an understatement. It’s been an uphill climb with peaks and valleys. I started gathering ideas and writing the first draft in 1999 before I signed a publishing contract with a now defunct publisher in September, 2011. Now, this was a back and forth project. 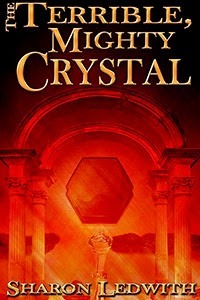 During the twelve years before I signed a contract, I wrote a second book in The Last Timekeeper series, created and penned two novels for another young adult book series entitled Mysterious Tales from Fairy Falls, revised and edited my supernatural romance, took a writing correspondence course and various writing workshops, and worked at the local animal shelter. I finally returned to The Last Timekeeper and the Arch of Atlantis in 2010 to revise and polish it, and kept sending the manuscript out until I struck gold with a publishing contract offer. And even then, after all that, there were major revisions on changing my point of view over from five characters to one character. But I was determined, and did it. In early 2015, Mirror World Publishing, a local Windsor publishing company rescued my time travel adventure series, and the rest is history! Pun intended. I sure do! The second book in my teen psychic mystery series, Mysterious Tales from Fairy Falls will be released (tentatively) May 17, 2019. It’s entitled, Blackflies and Blueberries, and is about seventeen-year-old Hart Stewart who possesses psychometry—the psychic ability that discovers facts about an event or person by touching inanimate objects associated with them. In the first book in this series, Lost and Found, fifteen-year-old animal communicator Meagan Walsh is coerced into helping the shelter animals save their home before it’s too late. 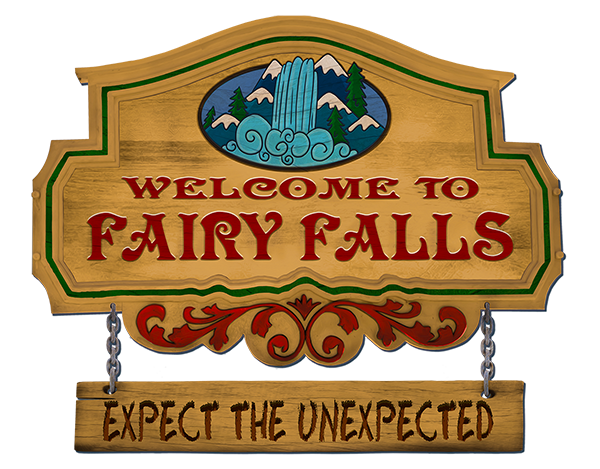 You currently have two series, the Last Timekeepers and Mysterious Tales from Fairy Falls. Do you have more books in store for both series? And – how do you write two series at once? Do you alternate writing one book for one series, and then go back to the other? Definitely yes to the first question! 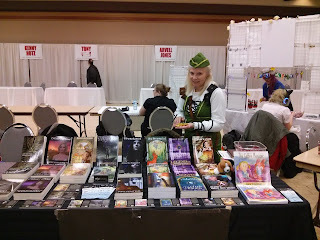 I plan to have ten books, plus the prequel written for The Last Timekeepers time travel adventure series. I know, go big or stay home. Wink. Presently, I have Book #1, The Last Timekeepers and the Arch of Atlantis, Book #2, The Last Timekeepers and the Dark Secret, and the prequel, Legend of the Timekeepers published. I’m working on Book #3, The Last Timekeepers and the Noble Slave, which should be out sometime in 2020. I have five books planned for Mysterious Tales from Fairy Falls, starting with Book #1, Lost and Found published in June 2017. The next installment, Blackflies and Blueberries will hopefully be released May 17th, 2019, as mentioned above. All these books revolve around the same setting (Fairy Falls) with a different cast of characters with psychic powers for each book. When writing two series at once, my plan is to release one book and write one book during the course of a year. So, yes I alternate writing the books for each series, which helps me produce fresh content every year and building both book series backlists at the same time. Trust me, I’m never bored with writing about the same characters, that’s for sure! Do you enjoy being a writer in the Windsor region? What are the pros and the cons (if any!)? Yes, very much! Comparing to where I used to live in the Huntsville area (seven hours drive north), Windsor has more opportunity for a writer and hosts a few writing groups to help writers improve their work for publication. Add in the fact that there’s the Windsor International Writers Conference here, and you’ve got a place that gives a writer plenty of chances to grow and learn. Though as a con, I’d have to say that it’s not a huge ‘arts’ oriented community, like Toronto. But we’re talking a different demography here. Windsor also boasts about seven publishing companies and over a thousand published/self-published authors. Not too shabby statistics for a city that’s known more for their manufacturing acumen. Never stop investing in yourself. Invest in the best. That’s in yourself, and in your readers. Your readers deserve the best of what you have to offer them. Start building your author platform and brand early, even before you’re published. Surround yourself with the best possible team. Never stop learning. As you grow, so will your readers, so be prepared for this. Oh yeah, and never give up. That’s a given and should be part of any author’s credo. And – do you have anything else you would like to add? Just a couple of things. I have a few freebies available on my website, so head over to my Home and Fun Stuff pages to find out what I’m offering! 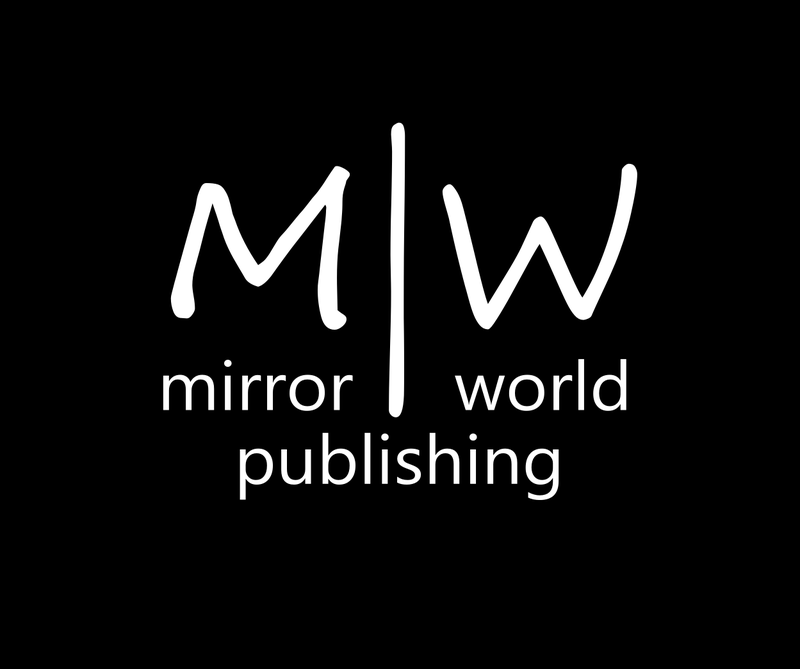 Oh, and if you live in the Windsor area and order any books through Mirror World Publishing’s Bookstore, delivery is FREE! Thank you for grilling me on my blog today, Elizabeth. I appreciate your support and interviewing prowess. Wishing you all the best! Cheers! Oh, thank you so much for the positive feedback, Darlene! I really appreciate your kindness and support! Cheers! Sharon, I always enjoy your insight! Thanks, Leigh! My foresight ain't so bad either! LOL! I like the idea of investing in yourself. I think this is something that is hard for a lot of folks. 100% agree with you, Chris. But if you don't see to your needs, no one will. Cheers and thanks! Takes inspiring to know inspiring, Nate! Cheers! Onwards and upwards, Sharon. You ARE doing well! Thanks, Vonnie! I've had a lot of support along the way. Cheers! We're glad to see we're not going to run out of your books anytime soon! Keep on writing! It may take me awhile to write them, but slow and steady assures success, Helen and Lorri! Hugs and cheers! Well done, Sharon! Keep it up! Thanks, Andrew! I value you're input! Cheers! Very inspiring post! Loved the interview and learning more about your publishing journey! Keep on writing, girl! Seems like we're in for the long haul, Lisa! Appreciate your support and friendship! Cheers! Way to go Sis!!!! Always inspiring others. Thanks, Shirl! Always appreciate your support and love! Cheers!